NEW YORK/WASHINGTON (Reuters) - Volkswagen AG (VOWG_p.DE) will probably have to show there was some legitimate reason to install software that led to false vehicle emissions tests if it is to avoid U.S. criminal charges, lawyers said on Tuesday. The German automaker has admitted to U.S. clean air regulators that in some of its diesel cars it used a so-called “defeat device,” software designed to defeat emissions tests. As a result it is almost certainly exposed to very large civil penalties that could be imposed by the U.S. government, said attorneys with expertise in environmental prosecutions though not involved in the Volkswagen case. The criminal probe, which was confirmed by a source familiar with the matter on Tuesday, is likely to examine not only possible violations of the U.S. Clean Air Act but also of broader statutes against wire fraud, false statements to regulators and other crimes, the lawyers said. Individual employees are also likely to be investigated and could potentially face criminal charges if wrongdoing is discovered, the lawyers added. A Justice Department spokesman declined to comment. A Volkswagen spokesman did not respond to requests for comment on what the company's legal strategy would be. Deliberately faking emissions results could be seen by prosecutors as a multi-layered fraud against consumers, regulators and auto dealers, the lawyers said. But there will likely be a debate between the Justice Department and Volkswagen's legal team over what the company and its employees intended by installing the software. U.S. prosecutors generally must find evidence of intent to commit a crime - such as incriminating emails or information from cooperating witnesses - before they can charge someone. The installation of the devices is not necessarily evidence of intentional misconduct, said Bruce Pasfield, a former environmental prosecutor. Automakers sometimes install such devices to allow vehicles to be tested under differing standards required by overseas regulators, said Pasfield, now at the law firm Alston & Bird. "You cannot draw the conclusion that this is intentionally criminal," he said. The Volkswagen investigation could end up as one of the first test cases of tougher new Justice Department guidelines that could lead to an increase in the number of prosecutions of corporate executives. David Uhlmann, former chief of the Justice Department's environmental crimes section, said criminal charges were almost certain if the allegations against Volkswagen are true, but he added the company could still find a defense. "If the software were installed for other purposes, Volkswagen would not have a defense in any civil penalty action but could in a criminal case," said Uhlmann, now a University of Michigan law professor. It was not immediately clear whether Volkswagen would invoke such a defense. It was also not clear who is leading Volkswagen's defense. The law firm Kirkland & Ellis, which was copied on a letter on Friday from the U.S. Environmental Protection Agency to the automaker, declined to comment. 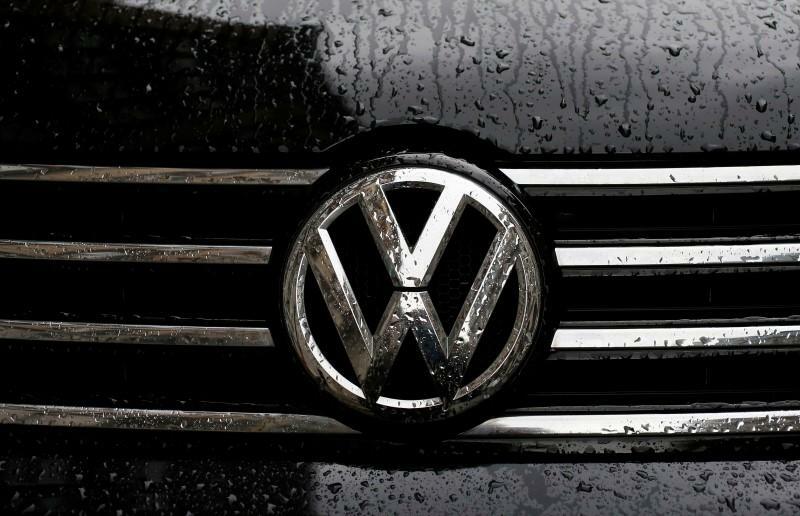 Volkswagen is the third major automaker to face a U.S. criminal investigation in recent years. Last year, Toyota Motor Corp <7203.T> agreed to pay $1.2 billion to settle a charge that it concealed a problem in its vehicles that caused them to accelerate suddenly. This month, General Motors Co (GM.N) agreed to pay $900 million for hiding an ignition-switch defect from regulators and the public. Both GM and Toyota signed deals known as deferred-prosecution agreements that effectively put them on probation and will allow the criminal charges to be dropped later. It may be difficult for Volkswagen to negotiate similar treatment depending on which Justice Department office takes the lead in its investigation, Uhlmann said. The environmental crimes section has historically required companies to either plead guilty or take their chances at a trial, he said. Prosecutors are likely to consider criminal charges against individual executives at the company, lawyers said. This month, U.S. Deputy Attorney General Sally Quillian Yates said that under a new Justice Department policy companies would no longer get credit for helping prosecutors discover misconduct unless they turn over the executives responsible. Under that policy "it would be hard to see how they could not carefully examine how individuals could be held criminally accountable," said David Buente, a former prosecutor of environmental crimes who is now at the law firm Sidley Austin. "One of the key questions for prosecutors is how high up in the company this goes," Buente said.